How does calcific tendonitis develop? There are two different types of calcific tendonitis: degenerative calcification and reactive calcification. The wear-and-tear of aging is the primary cause of degenerative calcification. As we age, blood flow to the tendons decreases. This makes the tendons weaker, and over time, as we use the affected joint, the fibers of the tendons begin to fray and tear, just like a worn-out rope. Calcium deposits form in the damaged tendons as part of the healing process. Reactive calcification is quite different and is unrelated to degeneration. Although it is unclear why this type of calcification occurs, it is more likely to cause shoulder pain than degenerative calcification. This type of calcific tendonitis is more common among younger patients, and seems to go away by itself in many cases. Probable causes include repetitive overhead use of an arm, frequent lifting, tennis, hammering, gardening and weightlifting. A history of trauma to the shoulder may also be involved. Calcific tendonitis is traditionally treated in a number of different ways by modern medicine. 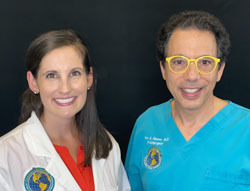 One approach is to attempt to break up the painful deposits with “needling,” followed by aspiration of the broken-up deposits and the flushing of the area with saline. Shockwave and ultrasound therapy have also been used to break up calcium deposits. The problem with these approaches alone is they are not repairing the soft tissue damage that allowed the deposit to occur in the first place. So the whole picture needs to be seen to determine if a combined treatment course is needed. Chronic pain is most commonly due to tendon and ligament weakness or cartilage deterioration. 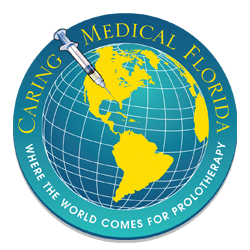 The safest and most effective natural medicine treatment for repairing tendon, ligament and cartilage damage is Prolotherapy. In the case of unresolved calcific tendonitis, Prolotherapy can help heal the injured tendons or soft tissues that are causing the body to deposit calcium. 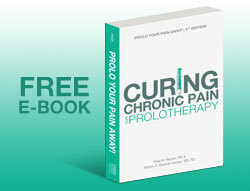 Prolotherapy works by initiating a mild inflammatory response in the treated area such as the weakened tendons. This local inflammatory response attracts increased blood flow and immune cells to the weakened tendons, allowing them to repair and heal. But what about the calcium deposit? What about it? Everyone has goofy stuff show up on x-ray. The point is to treat the person, not the x-ray. Can you move your arm? Can you swing a tennis racket? Can you lift weights? If the answers are yes, yes, yes, and more yes…then don’t worry about the calcium deposit. If there is calcium in the tissue, it tells you that the collagen is damaged and the body is trying to strengthen the area or stabilize it. So if you have a bone spur or calcific tendonitis, in my opinion, the best treatment out there to resolve your pain and disability is not surgery but Prolotherapy. Surgery can remove the calcium deposit, but it doesn’t resolve the reason the calcium is in there in the first place. 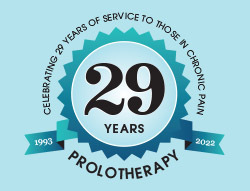 Prolotherapy, on the other hand, removes the reason the calcium is in there, and resolves the pain. Over time the body can resorb the calcium if it is no longer needed.